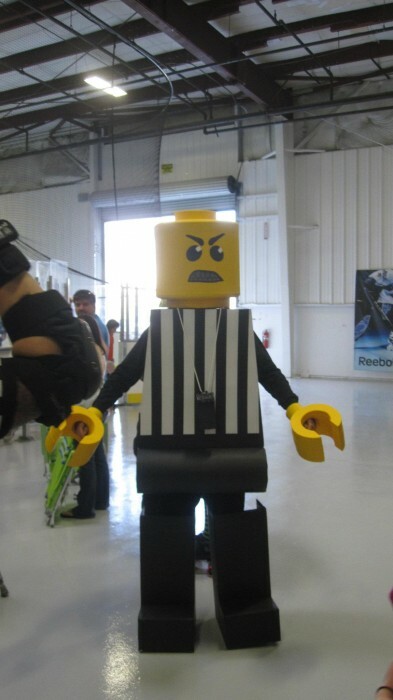 I just wanted to email you guys some pictures of a Lego Ref that I made for this years Halloween, although I did not buy the plans from your site (on a budget, sorry), your website gave me the idea and deserves full credit for all of these lego costumes spawning up all over the place. 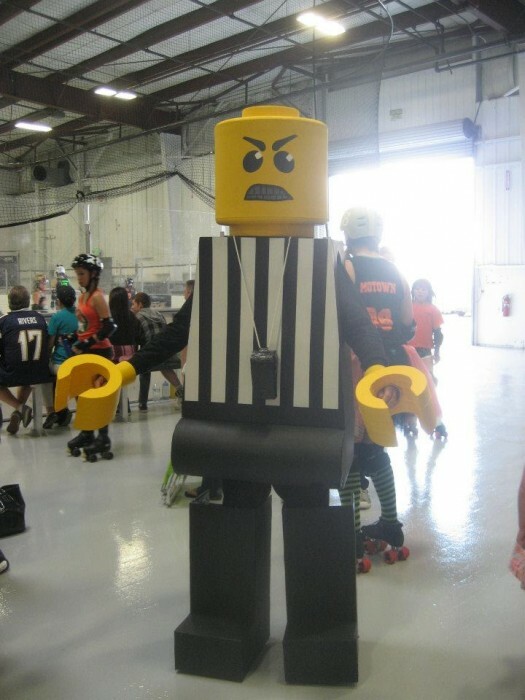 I am the Head Ref for the orange county roller girls, and I wore this costume at a baby bout (newer skaters) that we had over the weekend. 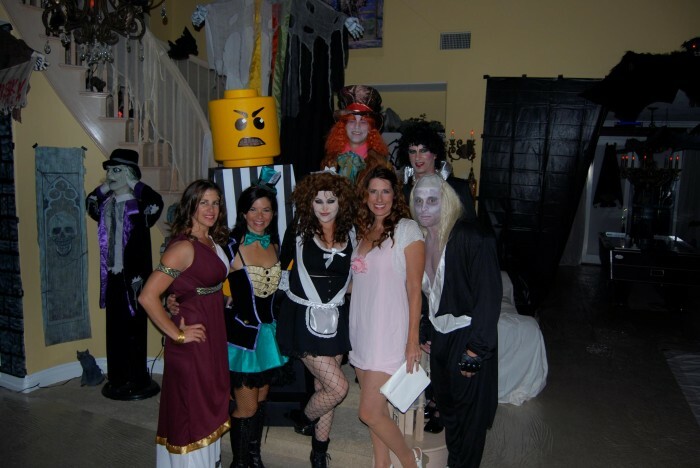 The costume went down fantastic (with the unfortunate side effect that the kids flocked around it too). I also wanted to give you a heads up (maybe to include in your plan notes) that for a time saver, Michaels sells 15 7/8ths foam “wreaths” which are about 2inches thick and have a nice radius on one face. They also have 11 inch wreaths and circular sheets and blocks of various sizes. Using all of these I made the head out of partially pre-fabricated pieces, it probably shaved two nights of polystyrene hell from the costume process. 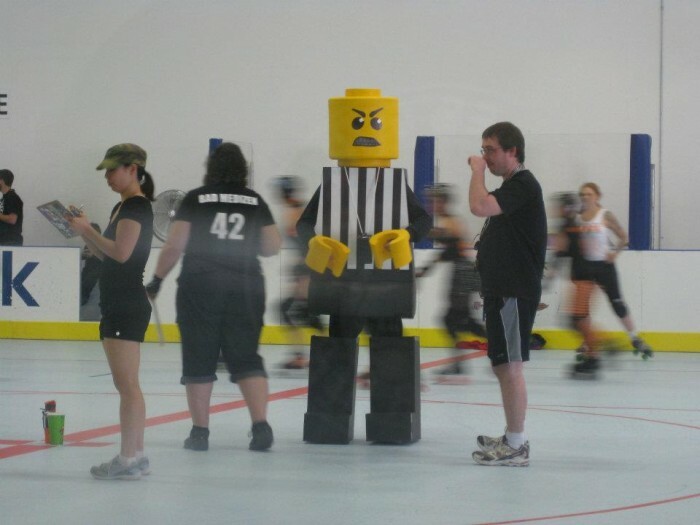 This entry was posted on Wednesday, November 2nd, 2011 at 7:46 pm by TJ Hahn and is filed under (ALL), User-Created. You can leave a response, or trackback from your own site.